If you are looking for the best high end coffee machines and barista at home coffee experience then the bean to cup coffee machines below are outstanding. True high end coffee comes at a slightly higher cost but you really do get what you pay for here and there is no better way of getting coffee shop coffee at home without spending £10,000+ (reviews of commercial coffee machines coming soon). As always with MyVirtualCoffeeHouse, clicking on the ‘Best Price’ button will give you the latest UK discounted prices on Amazon and you can compare real owner reviews as you make your decision, don’t just take our word for it! 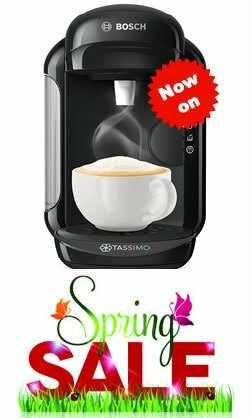 Bean to cup coffee machines, are they the best high end coffee machines you can buy? 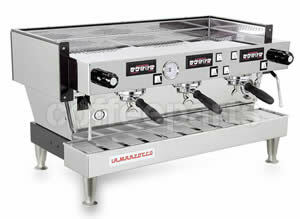 This is the absolute best high end coffee machine on the market today in this price range. Be your own barista and create amazing tasting coffee to rival the finest cafés. The Dual Boiler™ is for the coffee connoisseur who likes to regulate every step in the espresso process. You can extract espresso and texture milk at the same time, allowing you to capture the delicate aromas of the espresso in your coffee by having both the milk and the expresso ready at the same time. 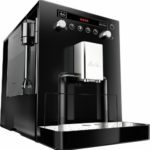 If you want to spend a little less money but still have one of the best high end coffee machines in your kitchen the Melitta Caffeo Bistro is an excellent choice. 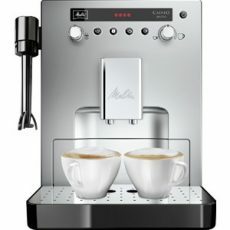 The silver Melitta Caffeo Bistro Automatic Bean to Cup Coffee Machine immediately has the appearance of a professional machine with its bulky shape, sleek controls and the sizeable looking milk frother attached to the side. This high end coffee machine would fit right in to a high street coffee house as much as the average home kitchen. If, I am honest with you, this is my personal favourite of all the high end coffee machines, even though it did not win the group test. Find best priceWith its tough grinder it can create coffee from bean to cup for two different users at a time and guarantees “variety for coffee lovers” through a variety of drinks at a consistently high quality. 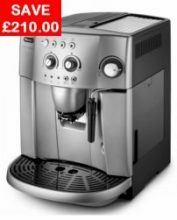 For the price, the DeLonghi Magnifica ESAM4200 is the best of all the high end coffee machines available, it really is a great bean to cup coffee machine. The DeLonghi Magnifica ESAM4200 is an automated bean to cup coffee machine that offers an impressive range of features for the dedicated coffee fan. Not only does this bean to cup high end coffee machine grind coffee beans in order to produce a rich, vibrant flavour, but it also offers you plenty of customisation options to help you tailor every inch of your coffee (e.g. temperature, strength, etc.) to fit your tastes. Heston has done it again and created one of the best high end coffee machines available on the market but this time a true bean to cup coffee machine. Create great tasting espresso – from bean to cup – in no more than a minute. The Barista Express allows you to grind the coffee beans right before extraction, and its interchangeable filters and a large range of automatic or manual operations ensure quality coffee shop style results quicker than you can drink! Dose-Control Grinding. The integrated conical burr coffee grinder with dose control delivers the perfect amount of coffee on demand, ensuring maximum flavour. Its adjustable grind size and dose let you customise to suit your tastes. In our opinion, a bean to cup coffee machine is the best high end coffee machine you can buy today for home use, unless of course you want to spend £10,000+ as we mentioned at the beginning of this guide. They make amazing Barista class coffee and with the integrated coffee bean grinder give you the freshest taste available with the least amount of hassle. 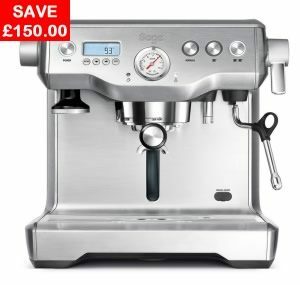 Don’t get us wrong, traditional Barista high end coffee machines like the Heston Blumenthal Dual Boiler coffee machine are amazing but the above bean to cup coffee machines really do offer the best of both worlds, simplicity and the best high end coffee machines at some great prices. If you are lucky enough to have one of these to use at home everyday, I am truly envious and will be around shortly for a coffee! See you soon.